Ohhh, I am in trouble! 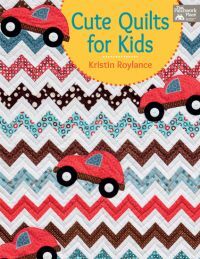 I have just received this book - Cute Quilts for Kids by Kristin Roylance - from Martingale for review, and can't wait to start one of the beautiful quilts for my grandson. The quilt featured on the book cover ("Are We There Yet?") 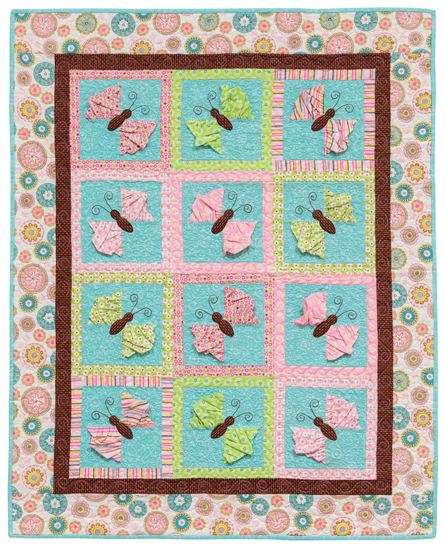 is a great example of Kristin's fun design ideas and innovative construction methods, bringing a breath of fresh air to the more traditional, pastel-colored baby quilts. Kristin offers basic quilt making instructions first (pay attention to her advice on using the walking foot, with which I agree and can attest to its usefulness), followed by 9 brightly-colored, gorgeous patterns. 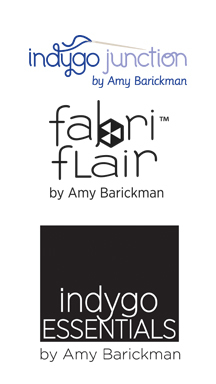 The detailed directions for each quilt, with plenty of clear diagrams, help you easily complete the projects. 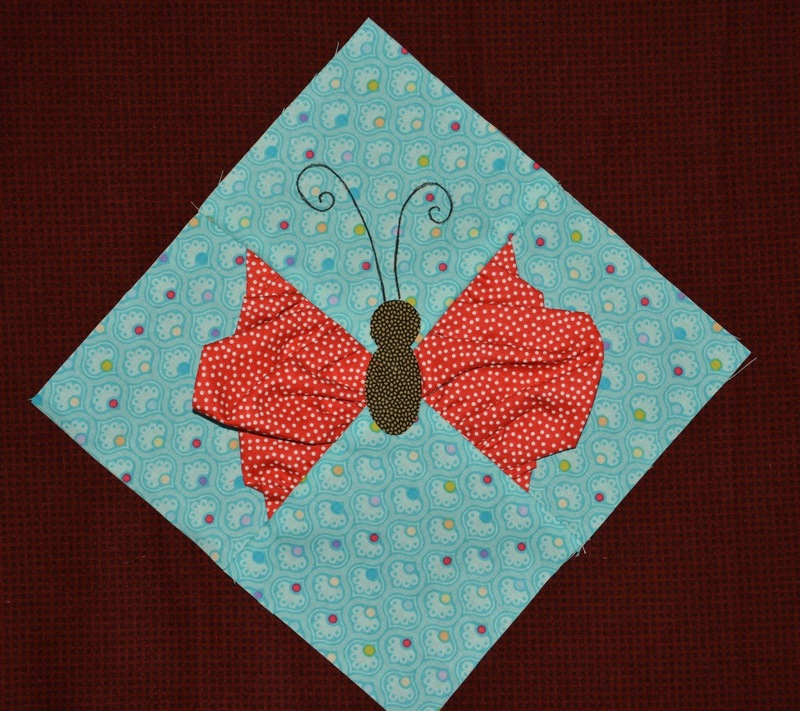 I could not resist and had to make a butterfly block!!! 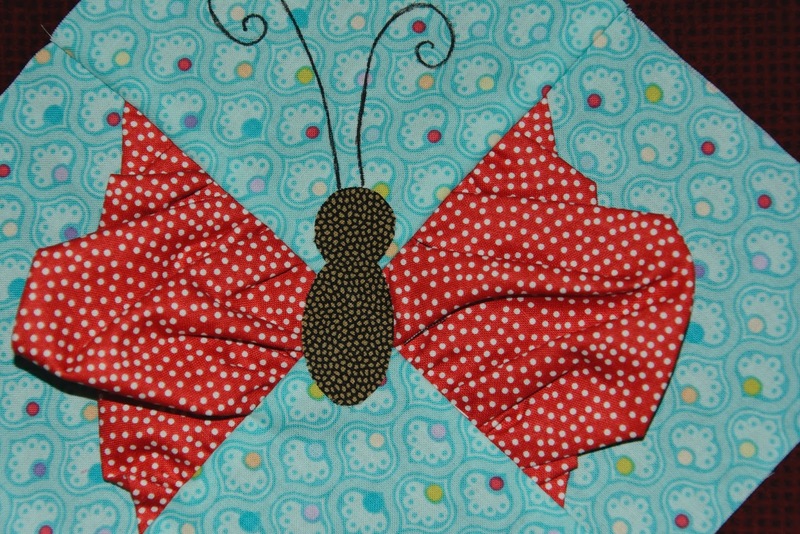 If you would like to make a cool quilt for the newest kid in your life, or as a gift for a friend's baby, you may want to check out "Cute Quilts for Kids". 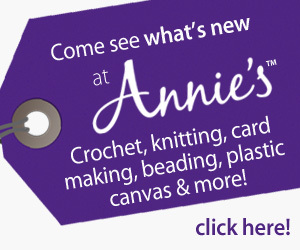 Boats, flowers, boots, ladybugs - it's all in there!